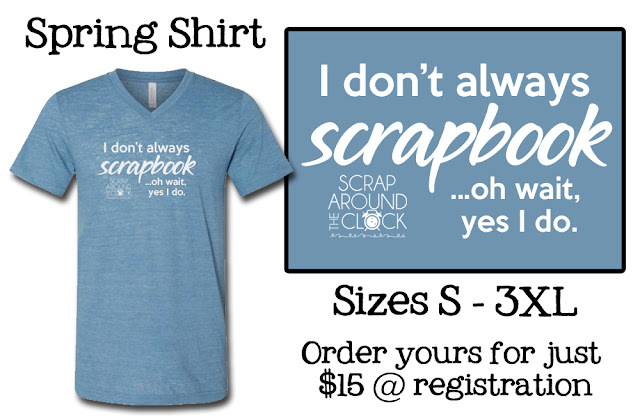 Scrap Around the Clock: Our Spring T-Shirts are here! 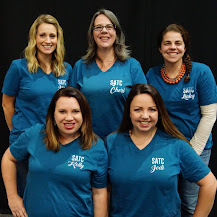 Our Spring T-Shirts are here! This Spring's shirt is in "denim slub" which is a very flattering heathered pattern. 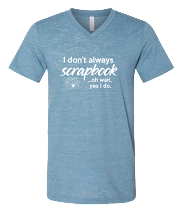 The shirts are 100% cotton, very soft and a flattering unisex fit. Pre-order yours when you register for just $15, a limited supply will be available at our event. Jeanne you just need to refresh your page! It will appear at the top of our website.